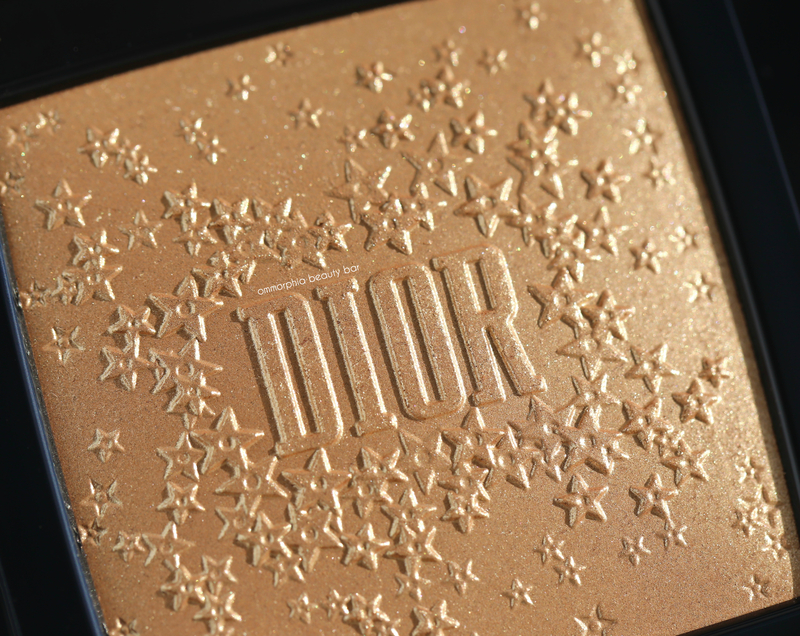 Inspired by one’s “lucky star”, Dior’s Midnight Wish Holiday 2018 Collection (all limited edition) is a makeup lover’s delight. With holiday-themed shades to go with the intricately wrought designs — not to mention the most display-worthy packaging (seriously; just look at those nail polish bottles), everything shown would definitely be a hit gift … just make sure to grab a few items for yourself while you’re at it. The collection features two stunning palettes housed in the brand’s iconic navy lacquered compact cases. Upon opening, each displays a surface embossed with a scattering of raised stars (which will unfortunately become worn down with use, so you might want to take a picture of it first, lol). 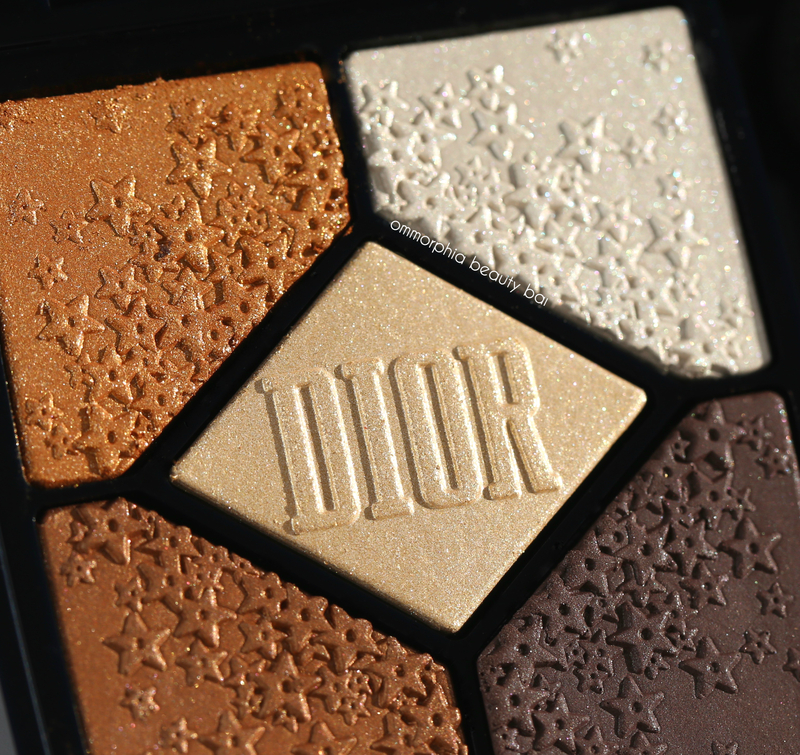 Dior has designed their eyeshadow palettes to be multi-functional: the top 2 shades + the centre hue work well for a daytime look, while the bottom 2 + the centre shade are more suitable for evening, although how you wear them is up to you … there really are no rules to beauty, am I right? 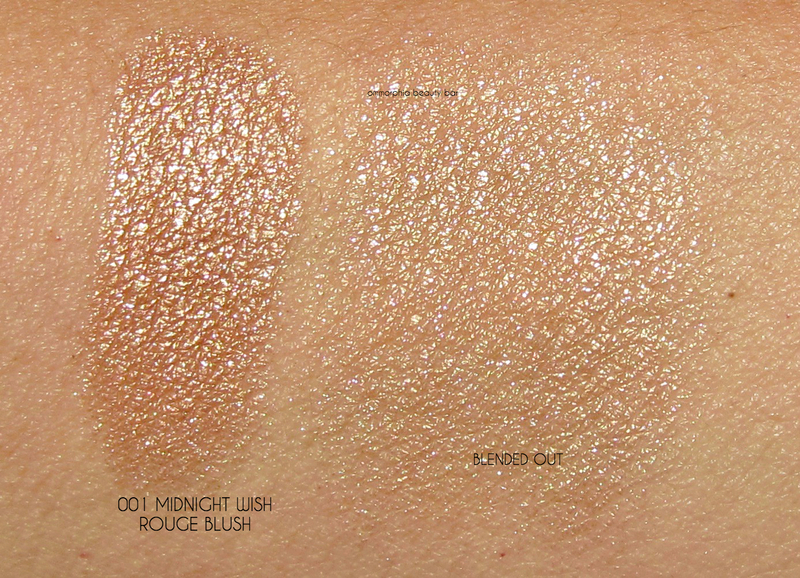 057 Moonlight (CAN $73.00) | The more cooler-toned of the two, this palette is comprised of 5 shimmery shades (each has such a complex shimmer that’s so hard to capture in a photo — they must be seen in person). All apply smoothly (whether dry or with a dampened brush) and display a buttery texture that’s also easily blended, with excellent lasting power when worn over primer. 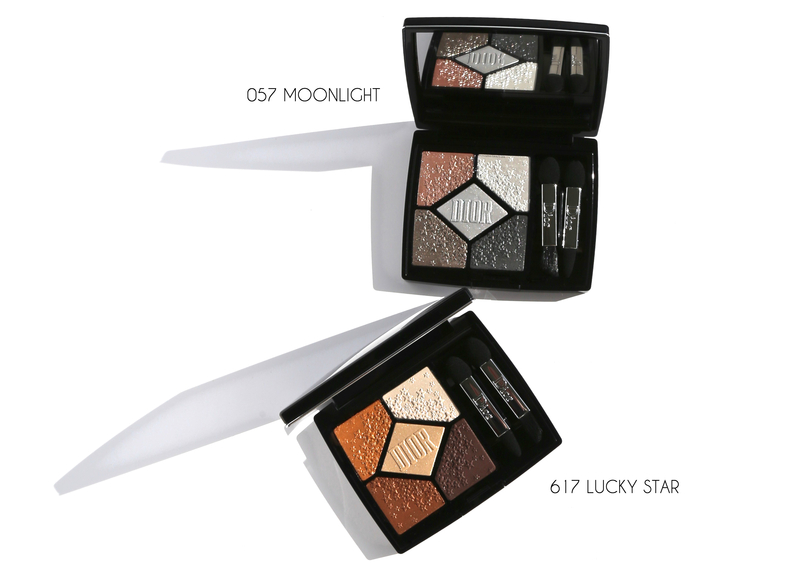 617 Lucky Star (CAN $73.00) | The warmer-leaning of the two, this palette has 4 shades of varying shimmer strength and 1 hue (bottom right) that’s more satiny in finish. All have an impressive application (as with Moonlight) and can also be applied with a dampened brush for even more intensity. Excellent staying power, when worn over primer. 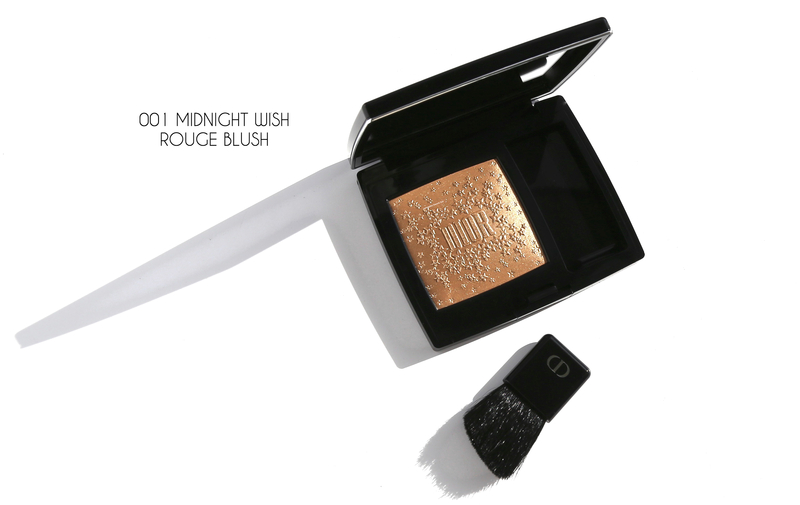 001 Midnight Wish Rouge Blush (CAN $55.00) | The “star” of the collection (I couldn’t resist), Dior lists this as a blush, although I see highlighter. Regardless, I’m going to say right here and now that this may be the one piece you won’t want to miss out on. The stars strewn across its surface are just stunning, although they will become worn down with use (awwww). The texture is like velvet and blends out effortlessly along the skin. That said, note that this is also quite colour saturated so start with a scant amount and build up, if need be. Apart from traditional highlighter, you can also wear this layered over any other blush for a unique new multi-dimensional look, along the eyes as eyeshadow, or even dabbed at the centre of lips (over lipstick) if you’re feeling extra. For those looking to step out of their comfort zone, try applying a bit along brows — it’s a unique and fun new way to wear some holiday shimmer. 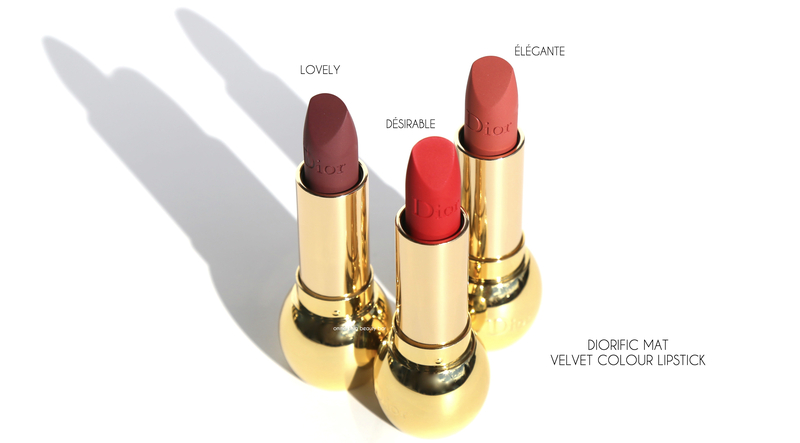 Diorific Mat Velvet Colour Lipstick (CAN $46.00/each) | Once again this year, Dior has released 6 new shades in its adorable golden “mini dumbbell” packaging (that’s how they appear to me). Each displays a high colour saturation and smooth application, laying down opaquely from the very first swipe. The texture is truly velvety with a slight sheen at the finish, while staying power is quite impressive as well (with the exception of the lightest hue, for obvious reasons) — and even though they all have a bit of slip, the deeper shades all fade to a light stain. By the way, I’m somewhat obsessed over Désirable‘s tone; it almost borders on neon, but in a sophisticated way (if that makes any sense). 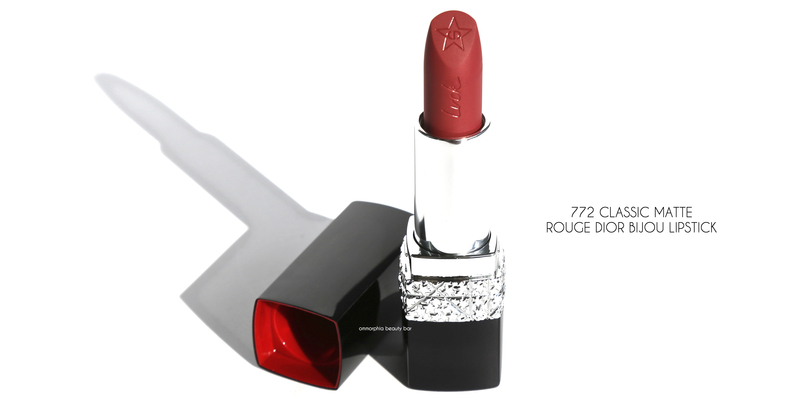 772 Classic Matte ‘Luck’ Rouge Dior Bijou Lipstick (CAN $45.00) | Along with the Diorific lipsticks, the collection also features five “Bijou” Rouge Dior lipsticks (note that the shades are all part of the permanent lineup; it’s only the case that’s new and limited edition), each embossed with a different word along the bullet as well as a star at the tip. 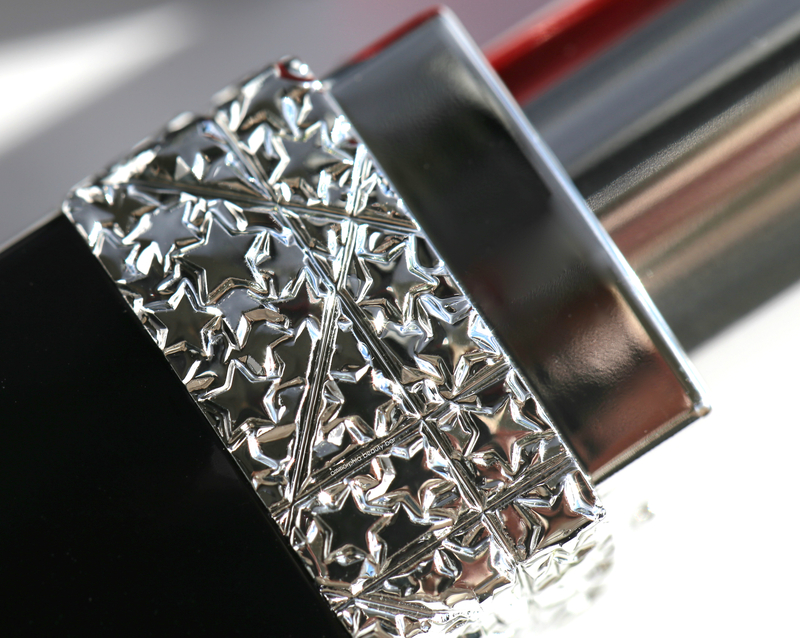 The case with its band of silver stars makes quite the statement, as does the red hue lining the cap’s interior. 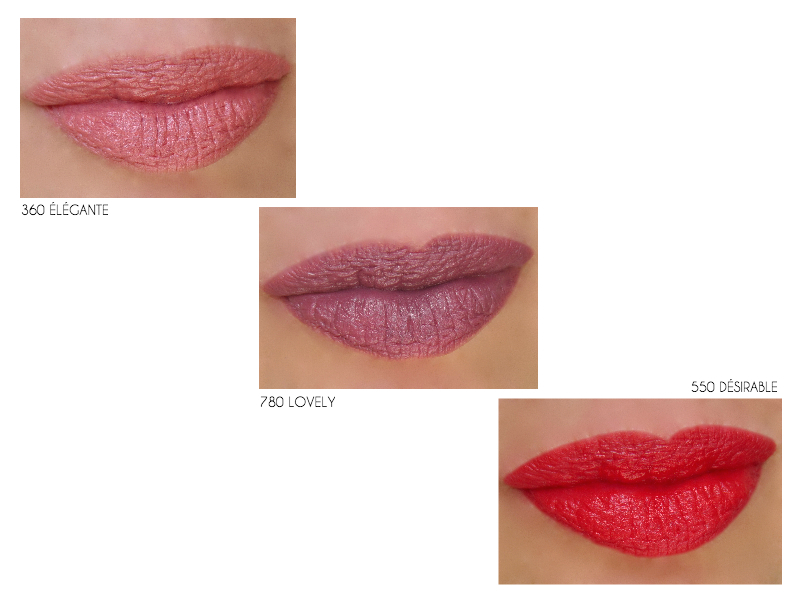 Every time I apply one of these lipsticks, I’m impressed anew at how smoothly it goes on and how comfortable it feels throughout the wearing — if you’ve yet to indulge, I couldn’t think of a better time to try one out. 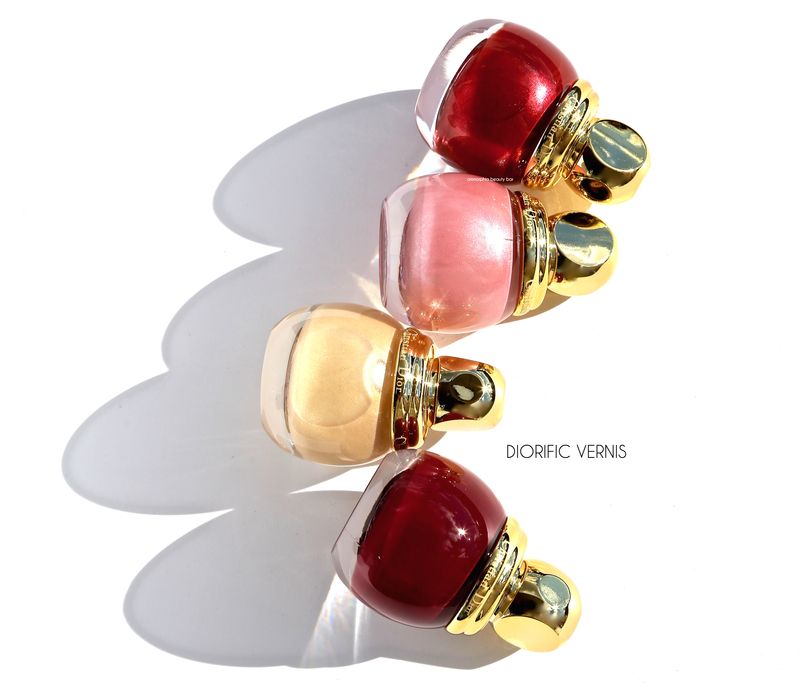 Diorific Vernis (CAN $34.00/each) | I’ve said it many times here on the blog: Dior makes one of my favourite nail polish formulas, as well as one of my favourite brushes. Once again for the holidays, the brand has released 5 shades (there’s a star-filled glitter topper that I did not receive, but am still contemplating picking up) — all in traditionally themed colours. The bottles just beg to be displayed (don’t they look like a bubbly jewel lineup?) and even though the brush stem is quite short, it’s still easy to manipulate. 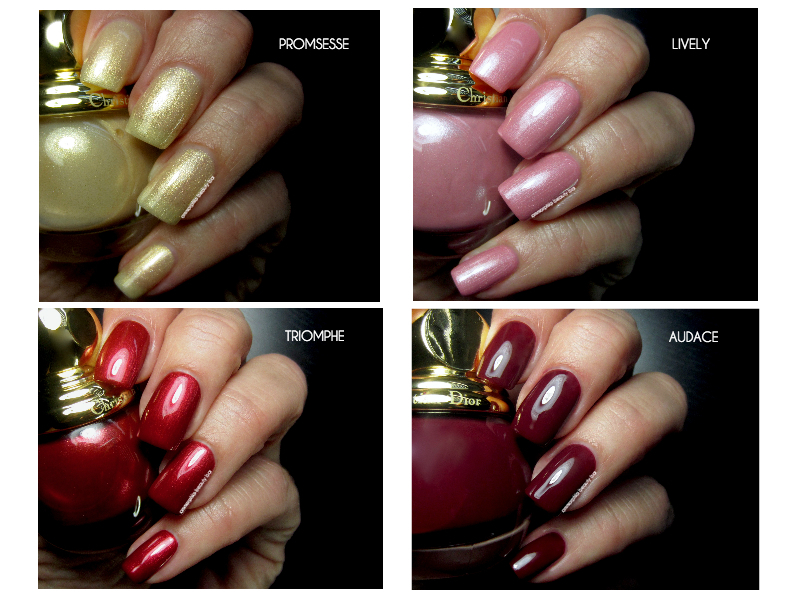 All swatches are with 2 coats of polish, no top coat. 220 Promesse | a transparent base filled with soft gold ultra fine shimmer, excellent viscosity which applies in a self-levelling way. Can also work as a ‘transformer’ by layering one coat over any other shade. I love the slight translucency it provides nails with 2 coats, but you can easily increase the opacity with a 3rd layer. 360 Lively | a candy/Barbie pink pearl hue that has a subtle blue shift when seen in certain lighting. Amazing opacity even with just 1 coat (unheard of for such a light shade), with a self levelling application and a glossy finish. 760 Triomphe | a metallic crimson hue with that ‘lit-from-within’ effect I so love. Application is excellent: lays down in a self-levelling way, although try to keep your hand as steady as possible to ensure there’s no waviness in the flow, and it’s also relatively non-staining — provided you don’t skip a base coat underneath. Is this THE perfect holiday red, or what? 890 Audace | a deep maroon/burgundy hue in a hybrid crème/jelly finish. Self levelling, a perfect flow & density, plus coming to an über-glossy finish, this can almost pass as a 1-coater, although 2 layers makes it bang-on. 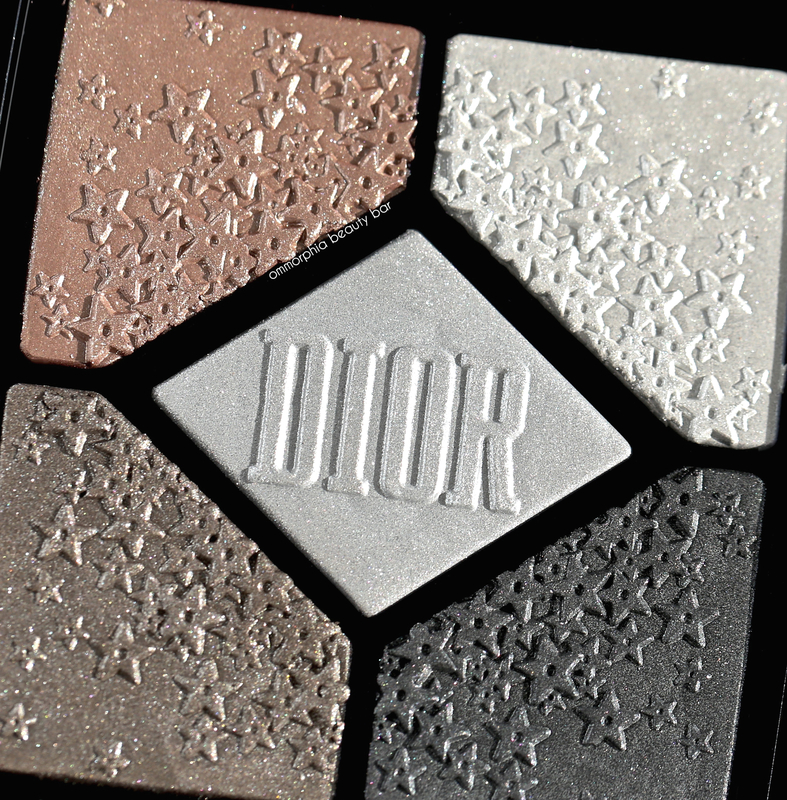 While I love it when brands create unique new shades & textures, I’m all about tradition when it comes to the holiday offerings — and Dior’s Midnight Wish Collection certainly is all that. Every single item I tested is a winner, in terms of visual aesthetic and performance, although if I had to choose my favourite(s), I’d have to go with Midnight Wish blush/highlighter, Désirable Diorific lipstick, and the nail polish in Triomphe. Of course, these shades are certainly not ground-breaking colour-wise, but the formulations are simply stellar and worthy additions to anyone building their beauty arsenal (I’m sure that’s a thing). Just remember: everything is limited edition, so if something’s caught your eye, better act fast — I’ve linked what items I could to make your shopping easier! 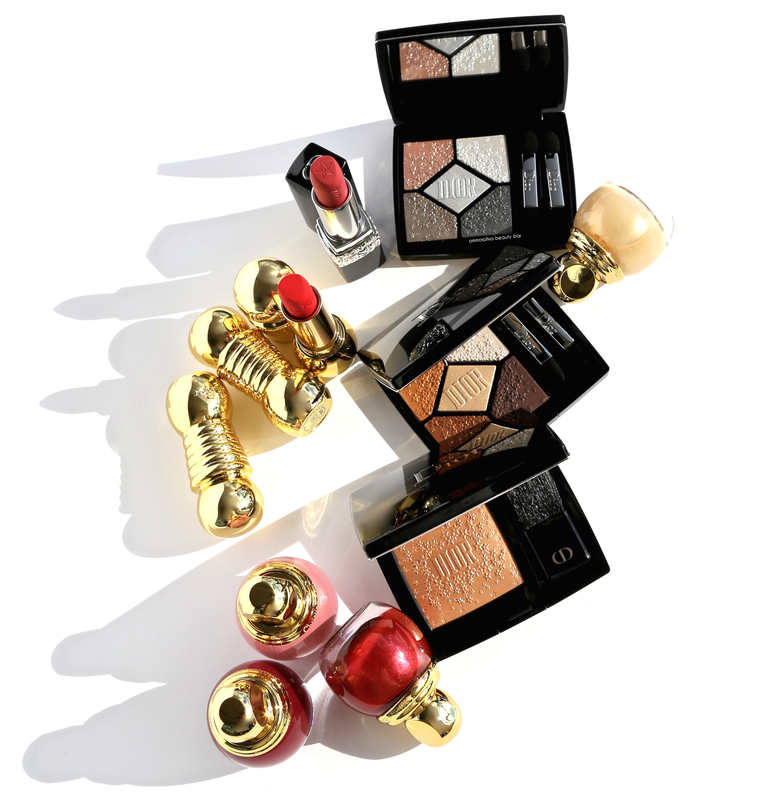 Beautiful Dior holiday collection but I’m getting a tired with the same packaging after several years. Colours are pretty similar too. The only new item is the Bijou lipstick casing but the price of the entire set over here is mind boggling, wouldn’t spend that much on lipsticks. Yes, the packaging is definitely similar but to be honest, I don’t mind as I love tradition during the holidays, lol! I agree! 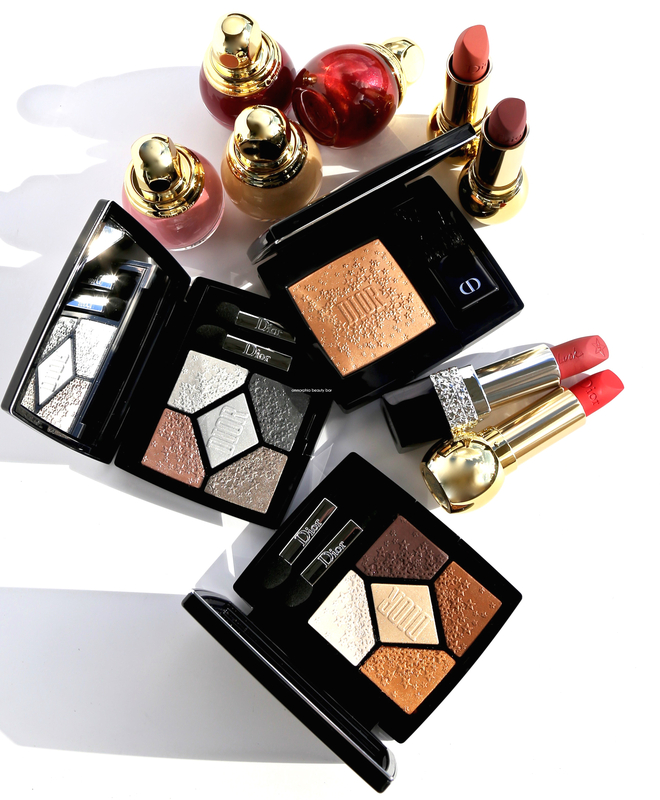 Dior really knows how to do a holiday collection!